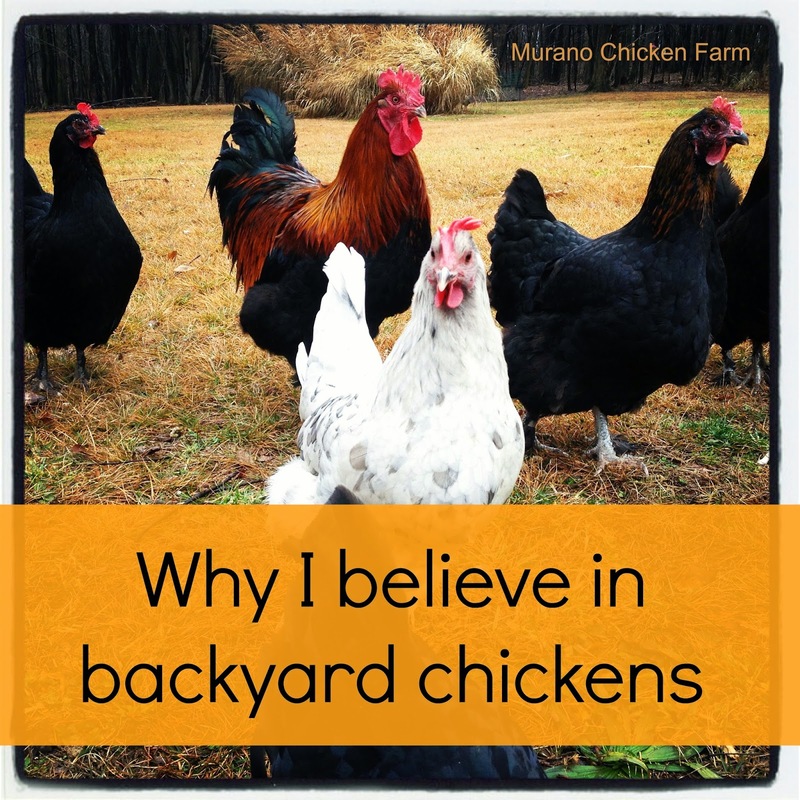 Why I believe in Backyard Chickens. I recently stumbled upon some links to a commercial egg facilities 'inside' pictures and entered into a heated discussion on treatment of animals. On one side we had the activists so inflamed about that particular treatment that they're calling for a boycott of all egg production and consumption. On the other side is me. Just me and my belief's that while what they say is common practice in egg production is disturbing, owning chickens and consuming their eggs is a completely humane practice. There was also a minority of participants that I'll call the naysayers. They either didn't believe or didn't want to believe this was the truth about egg production farms. Now I will mention that we're talking about keeping chickens for eggs, which is what the majority of home based chicken owners do anyway. I'm not getting into meat here, the discussion was only about eggs. The main part of the discussion centered on humane treatment of the animals. Simply put things like debeaking, several chickens in 1 cage and filth under the cages are quite common in egg producing facilities. The animals don't get health care, so the sick ones just die or are culled to make room for the healthy ones. The quality of feed is sometimes questionable and the noise and smell can be unbearable. Do you see what's happened here? As the popularity of backyard chickens and homesteading has risen in the last 20 years the number of egg producing companies has dropped by 1/2! Why are these 'activists' calling for us to quit raising our own chickens for eggs when it's doing so much good? This doesn't make sense to me. In fact, PETA actually agrees that eating eggs from happy backyard chickens that are well cared for is ok! I will say that the USDA has attempted to regulate egg production with terms like cage free, organic, natural and humane. The idea being that these labels would be used to identify certain practices and many people would buy these eggs because of those practices. Unfortunately many companies have exploited the meaning of those terms so they sound a whole lot better then they actually are. For now though, lets focus on the chickens in our backyards. It's been my experience that most everybody that keeps chickens at their home cares for them at the same level as if they were a pet. These 'pets' have homes that are clean and secured against predators. They have clean feed and water, a certain level of health care and daily activity. They're not kept stuffed in cages or debeaked. They're fed treats and allowed out to play/hunt in the grass regularly. Most of these chickens have been given names and many respond to their names or when called as a flock. Some of these backyard chickens visit avian vets when sick and all are mourned when they eventually pass on. Chicken owners can tell endless stories about their hens and how they care for them. Social media is full of adorable pictures of these much loved pets. They are truly some of the best cared for food producing animals I know of. Again, PETA agrees. Can you tell me one thing about the eggs they sell in the store? Do you even know what state they are from or what color the hen was? Do you have any idea how old the eggs even are? We're so far removed from our food supply that it's easy to not even think about it and just go about our day. The truth is it's hard to disassociate from your food supply when you have to feed it every day. In turn you care more about it's living conditions and health. It thanks you by producing eggs that are actually higher in vitamins and nutrients then the store bought eggs. So this is why I think that instead of calling on us to stop eating eggs, the activists should start urging the public to raise their own chickens. Eating eggs does not harm the chicken because after all, you can't stop a hen from laying eggs. Let me say that again: YOU CAN'T STOP A HEN FROM LAYING EGGS. I suppose you could 'fix' them like any other pet, but pets are usually fixed to keep them from having babies. These aren't babies, they're eggs. It's not even close to the same thing! There's no good reason in this argument to not eat the eggs. In fact every single reason I've been given to stop eating eggs sounds to me like a reason to raise your own chickens instead. How do you feel about it? Having kept chickens for almost 20 years now I simply cannot understand why more people don't raise their own chickens, and why so may places deny people the right to legally keep a few hens. Keeping chickens is so easy and benefits the keepers. Chickens give us eggs, and if allowed freedom of backyards, they not only eat the bugs, but provide entertainment. They are far less messy and noisy than the average dog or parrot ( not including roosters who aren't necessary for egg production anyway ) they eat the kitchen scraps and the weeds we pull from our flower beds. You've made some very good and logical reasons to support what you've said and I say it's time the general public is educated & informed about these issues so when they see news stories regarding them they can make good and common-sense decisions for themselves. Of course that would mean even more backyard chickens !!!! I agree that calling for a ban on consuming eggs is not the way to go. We need to educate and encourage people, especially young people, to produce more of their own food and/or find local sources. Lifting regulations on backyard chickens would also help those who want to have chickens but can't.